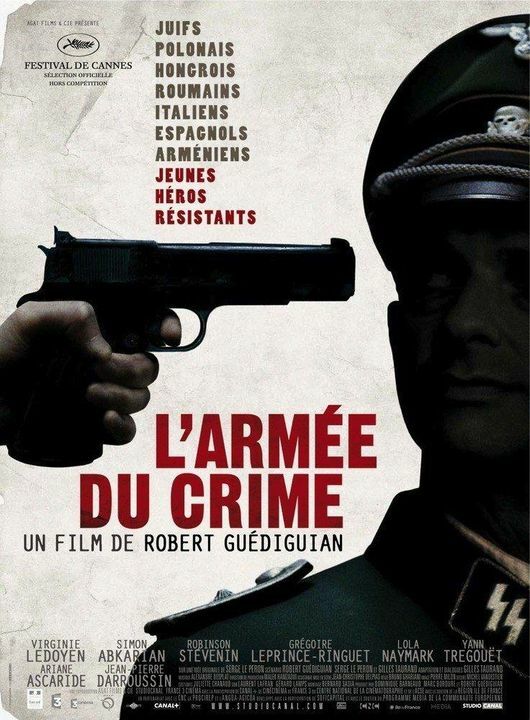 Army of Crime 2hr. 19min. This gripping historical drama recounts the story of Armenian-born Missak Manouchian (Simon Abkarian), a woodworker and political activist who led an immigrant laborer division of the Parisian Resistance on 30 operations against the Nazis in 1943. The Nazis branded the group an Army of Crime, an anti-immigrant propaganda stunt that backfired as the team's members became martyrs for the Resistance. Virginie Ledoyen co-stars as Manouchian's wife.